Jadal is an Arabic Rock Band, Formed by Mahmoud Radaideh Composer/Guitarist/Music Producer in 2003 Amman, Jordan. Jadal are one of the first Arabic rock bands in the region, starting their journey by grabbing listener's attention with their cover "Kol Ma Gool Al-Tobah" for the legendary Egyptian artist Abdel Halim Hafez in Jadal's Arabic Rock style. They then introduced their fans to their hit song "Salma" composed and written by Mahmoud Radaideh which created a great following in Jordan Jadal are known for their lively performances. 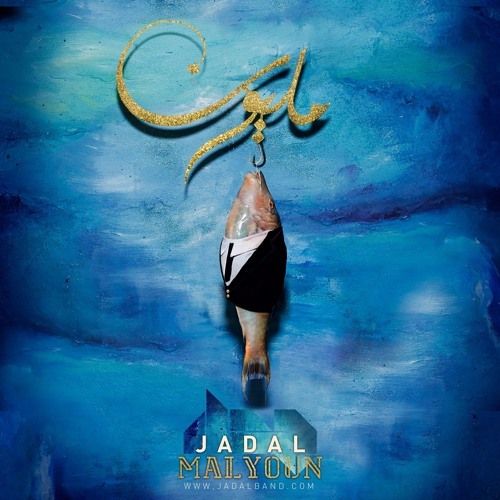 Jadal's music breaks boundaries, challenges the music scene. Their diverse fans, both rock and Arabic music fans, prove that music isn’t biased to language or background. "Arabic Rocks" is the first album for JadaL released in August 2009 contains 14 songs with JadaL's Arabic Rock Style. JadaL released 29th Dec 2012, contains a collections of Mahmoud's compositions performed by himself (vocal, guitar, keys and more) and musicians Ahmad Zoubi (Vocals), Bader Helalat (Keys & Synthesizers), Amjad Shahrour (Bass), Ammar Urabi (Drums), Hani Mezyan (Keys) and for live performances Hakam Abu Soud (Drums).